Home › Improving Your Memory – 21st November. 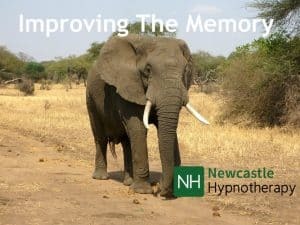 Improving Your Memory – 21st November. Some people have a great memory and they rarely forget anything. They remember everything, important dates, events, names with ease. Others are great at remembering certain things and have trouble remembering the simple things. Some of us find our memory starts to get worse as we age. What can we do to stop this? Having a good memory is often a set of skills that with a little practice, can really help to improve memory function. Want to learn these skills? Join us for this Memory Improving Workshop. How Much? £8.50 by advance booking. The Wednesday Workshop is a regular set of events that run on the 1st & 3rd Wednesday each month. Booking in advance is required at the link below. Places are limited. Learn more about our regular events. Subscribe to the events newsletter below. We are GDPR compliant. Your details are always kept private. You can unsubscribe from this newsletter at any time.